Purple Leaf Farms: Big Huge Epic News! 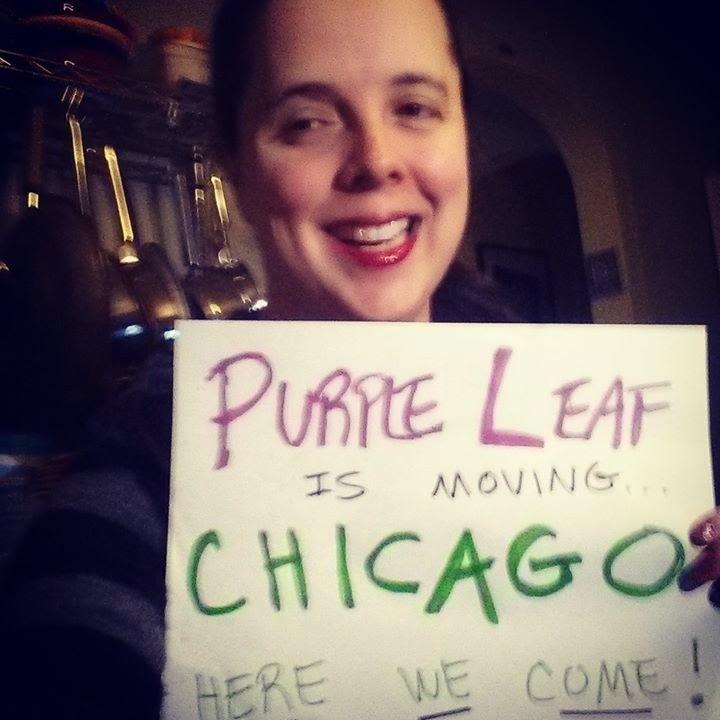 Purple Leaf Farms is Moving! Big Huge Epic News! Purple Leaf Farms is Moving! BIG NEWS: I am SO thrilled to announce that I’ve been accepted into the Farmers for Chicago program, a farm incubator program offered as a joint venture between the City of Chicago and Growing Power. If you haven’t heard of them, Growing Power is a leader in the urban agriculture movement and has 20 years plus experience growing food and raising small livestock in a variety of urban environments. I feel very lucky to have been selected for this program and I can’t wait to learn all I can from the experts at Growing Power. What does this mean for Purple Leaf Farms? Short term, it means I will be relocating the farm from Elgin (our farm home for the past two years) to a 1-acre plot located on the south side of Chicago (near 87th Street and Lake Michigan). The City has set aside a large formerly industrial sight for urban agriculture, and I will be one of about a dozen farm entrepreneurs sharing the site. I will be running the CSA program same as last year and will continue to sell at the Hines VA farmers market as well as one additional market on Saturdays somewhere in Chicago (likely Printer’s Row again). We will still offer CSA pick up in Forest Park, at farmers markets, and to Gensler employees. The new farm location is closer to Forest Park, about a half an hour drive instead of an hour out to Elgin, and is much easier to access by transit than was Elgin. It will be easier for me to get there, and I hope it will make it easier for you to visit the farm.